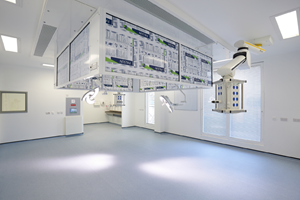 As part of the East Herts Trusts Redevelopment project ‘Our changing hospitals’ worth around £100m, W. Portsmouth were awarded the Electrical Installation Contract for the Theatre Block. 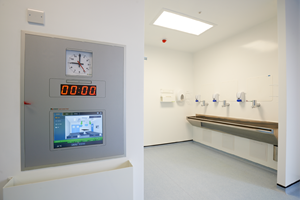 The New Build Theatre Block provided a modern compliant facility for ever increasing complex procedures. 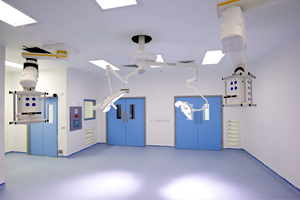 It consisted of 4 Operating Theatres, Male/Female Recovery Bays, 4 Endoscopy Procedure Rooms, Staged Recovery and Admin Offices. 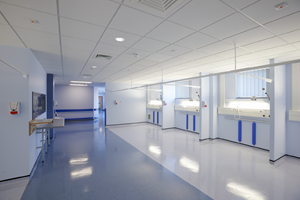 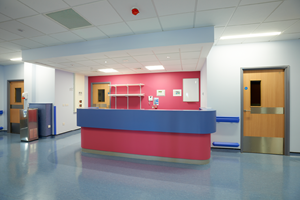 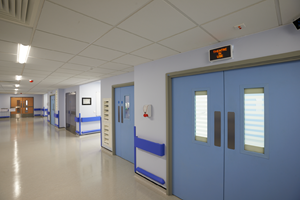 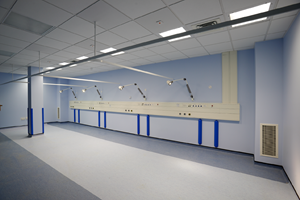 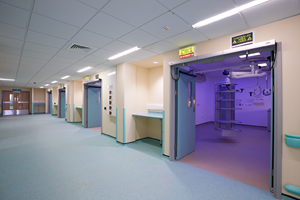 The Elective Admissions Unit was a refurbishment project within the heart of the hospital including a small recovery area within adjacent to a high dependency unit. 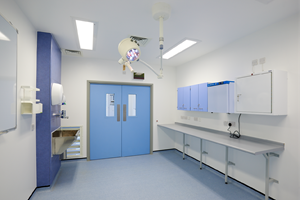 W. Portsmouth were involved from Contractor Design Portion/Co-ordination Stage through to Procurement, Installation, Commissioning and Handover. 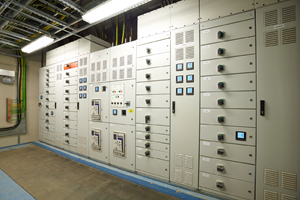 Works associated with this project included Mains LV cabling, Path A+B Mains switchboards, Power factor correction, 60kVA UPS systems, IPS Systems (Isolated Power Supply), Distribution and Sub-mains cabling, Specialist Theatre lighting and dimming controls, Surgeons Panels – (integrating with BMS systems, UCV Hoods, Medical gas alarms and IPS power supplies), Small power and lighting systems (with intelligent lighting control), Fire Detection, Security and Nurse Call with Panic alarms.